Remove the old distributor cap with the plugs wires still attached and set it aside near the distributor. Replace the old rotor with its new replacement piece. This part slides on and off. 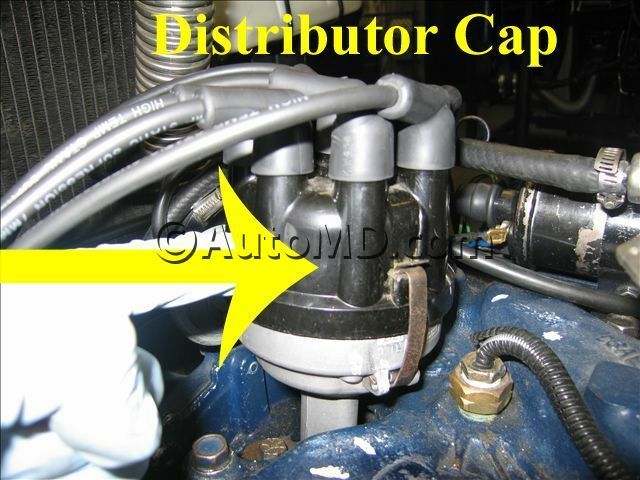 Install the new distributor cap in the same position as the old part. The cap can only be clipped on in two different positions, and there is usually an indicator on the top of the cap for plug number one. Make sure you install the new cap in the same position as the one you removed. Starting with the wire closest to the #1 plug indicator on the cap, remove and reinstall the wires from the old cap to the new cap in a clockwise rotation. Start the vehicle and make sure that it runs smoothly, and that there are no misfires or backfiring.